Russia's hybrid military forces attacked Ukrainian army positions in Donbas 19 times in the past 24 hours, with two Ukrainian soldiers reported as wounded in action (WIA), according to the press service of the Anti-Terrorist Operation (ATO) Headquarters. In the Donetsk sector, the enemy fired grenade launchers and small arms twice on the Ukrainian positions near the town of Avdiyivka. The occupiers used the same types of weapons near the village of Nevelske. At about 20:00 Kyiv time, one Ukrainian soldier was wounded in a grenade shelling near the village of Novoselivka Druha. Read alsoReintegration postponedIn the Luhansk sector, Russian occupation forces opened fire from 82mm mortars twice on the Ukrainian positions near the village of Krymske, where they also used grenade launchers and heavy machine guns. 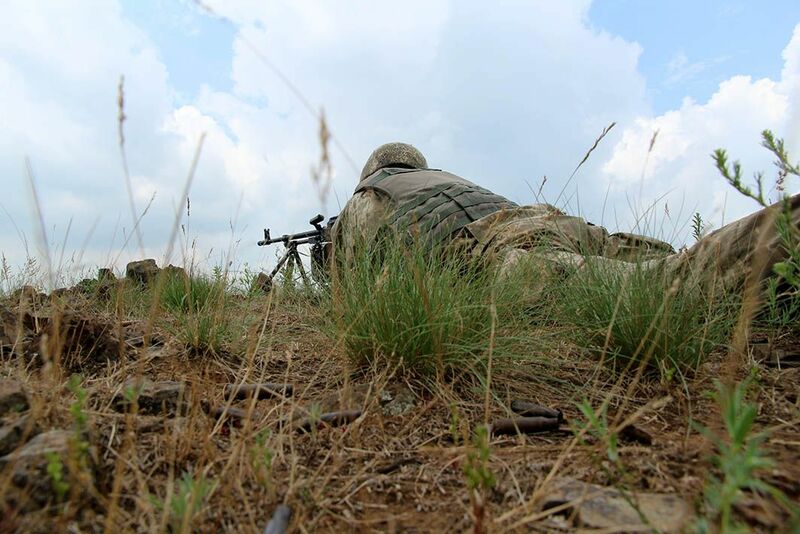 A skirmish was reported near the town of Krasnohorivka in the Mariupol sector, resulting in one Ukrainian soldier suffering a shrapnel wound. In addition, the Ukrainian fortified positions near the village of Vodiane came under enemy fire from heavy machine guns and small arms in the evening.